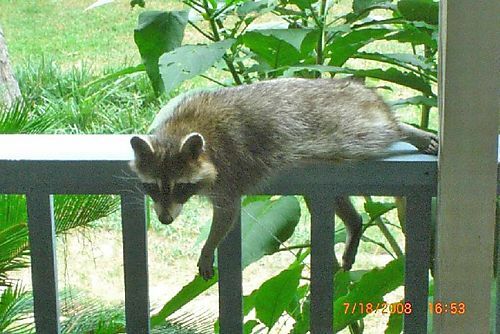 Larry reported, "This one, who had an injured leg in June, started hanging around the house during the day. His left rear ankle looks like it has fused and he can't bend it. But he walks and climbs pretty well now. He was still showing up early in the afternoon, and Steve took this picture of him watching us through the back French doors eating dinner."